There are so many wonderful things about turning 40: finally comfortable with who you are; having the maturity you wish you had in your 20s – but realizing you wouldn’t be there without making mistakes in the past; and so, so much more. It’s also a great time to reevaluate our bad habits and make some serious changes. In fact, our health is something that doesn’t always improve over time. 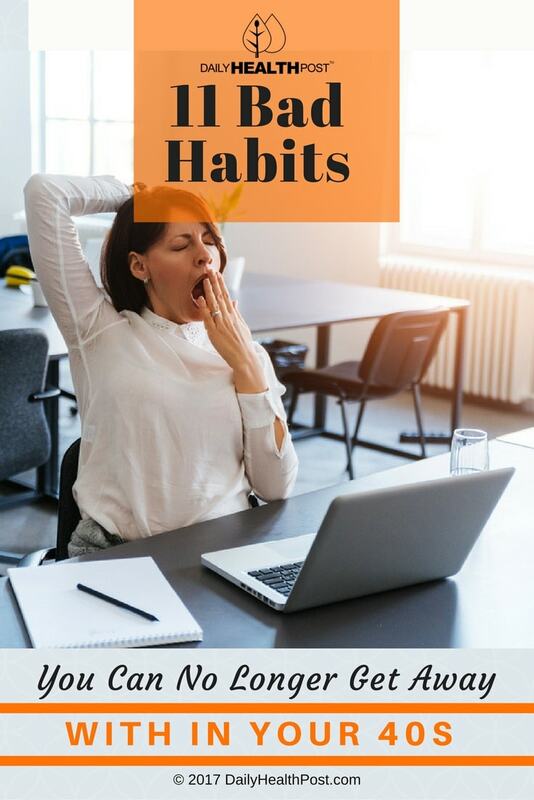 You can’t get away with as little sleep or exercise as you used to, you need to consciously eat better, and be aware of the health complications that come with aging. 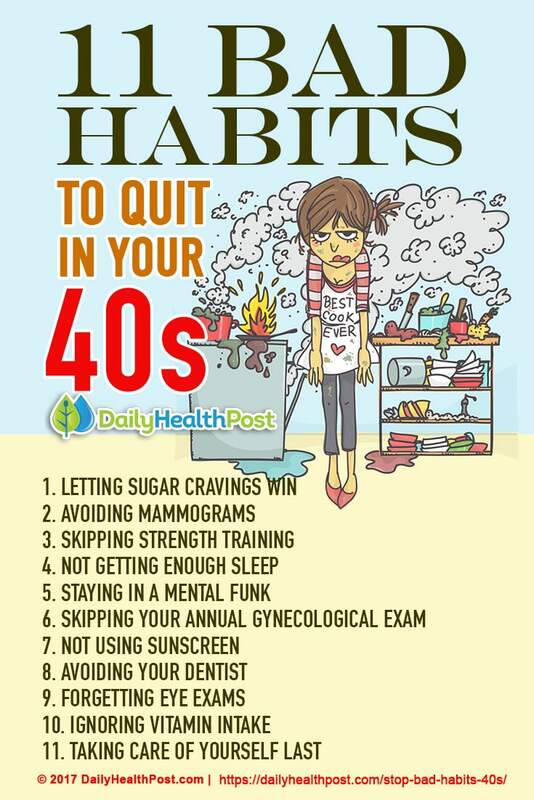 Below are some bad habits and accompanying lifestyle changes you need to make in your 40s (or even before then) to ensure your overall health and wellness for the best years of your life! 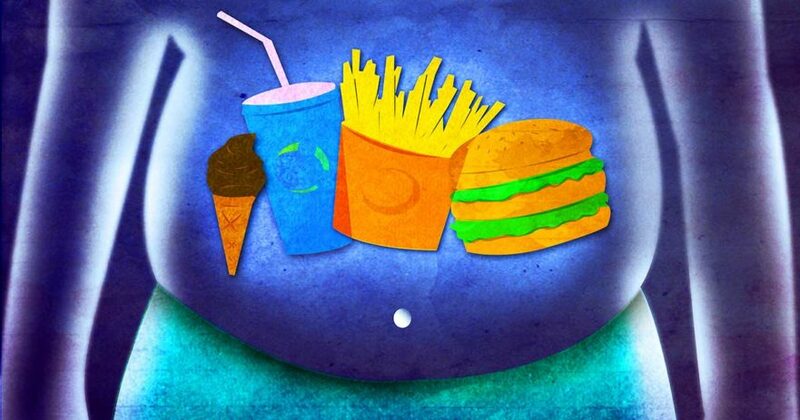 You might have been able to get away with eating a pint of ice cream or a pitcher of sweet tea in your twenties, but our metabolism slows down as we age. Consuming too much sugar can lead to insulin resistance, a pre-diabetic condition in which the body cannot properly process carbohydrates. Blood glucose levels remain unhealthily high, and over time this can turn into Type 2 diabetes- which is most commonly diagnosed after the age of 40 (1). 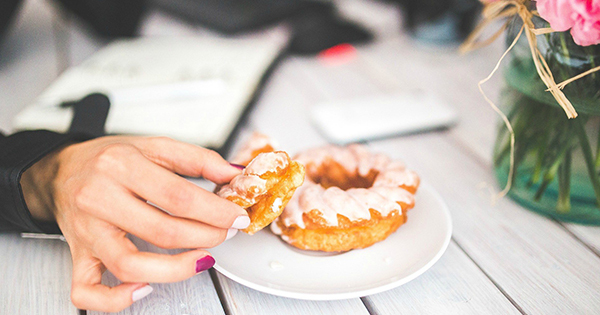 Aim to reduce processed sugar in your diet. If you have a craving for sweets, reach for whole fruits and/or dark chocolate. Fruit (not fruit juice) contains fiber, which slows the absorption of the natural sugars so your blood glucose levels don’t spike. Dark chocolate is surprisingly good for you (in moderation) and has much less sugar than milk/white chocolate. If your cravings won’t quit, make your own desserts for a healthier alternative.